wash spider webs off your home. 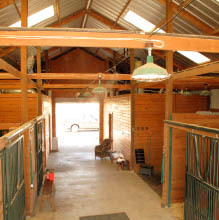 Having difficulties with flies in your barn? 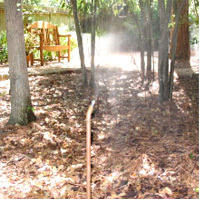 Give EnviroTeam a chance to evaluate your problem and install a misting system. 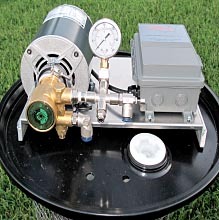 Not every installation of a misting system is the same. 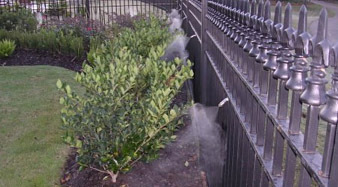 The object is to install a misting system with the fewest spray nozzles.This will minimize insecticide use and maintenance costs, while safely maximizing mosquito kill. 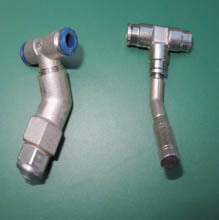 We can always add more nozzles, if needed. Also proper location of the nozzles is very important. Knowing where the mosquitoes breed and bed down is crucial. Running lines underground properly help prevent landscapers from cutting the lines, and protects your investment. Being locked into a contract with a company, to find out they have poor service is a frustrating experience. EnviroTeam provides our customers with a service agreement that does not lock them in with our company. We believe that providing excellent service will build long-term relationships with our satisfied customers. And that's all the contract we need!